We recently published news about an order for Smoke Control, our partner in Australia. The order for 12 doors and 12 sidelights, fire-rated to 60 minutes of integrity only, is for a new build development in Sydney harbour. 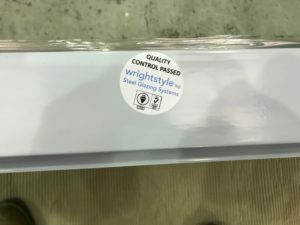 It’s a reflection of the guaranteed quality of our systems that Smoke Control has been a customer for many years, but dealing with Australia has one added complication. The country has strict regulations to prevent the accidental importation of contaminants such as insects. Our systems must therefore be export packaged into certified wooden crates that have been heat treated to ensure regulatory compliance. Being an international company, with exports to many countries, it’s just one of the little things that we take in our stride.